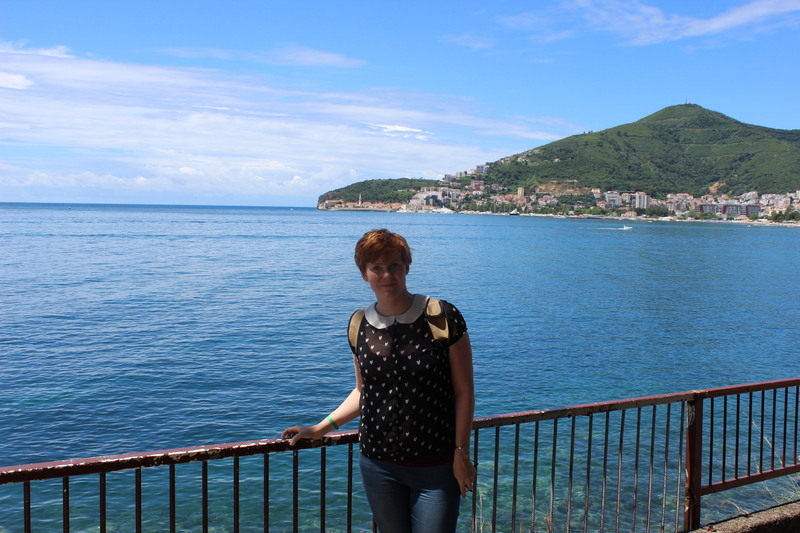 In the beginning of july, me and my boyfriend went on a vaccation to Becici, Montenegro. We spent one week in the sunny/hot climate of the south of europe. After about 12 hours of travel (buss, buss, buss, plane & buss) we arrived in the evening at our hotell. After a good night sleep, we went for a walk in the beautiful weater to discover the sourandings. We had acces to several pools, tennis yards, and the beach strip right outside the gates. Me on our beach walk. It was really hot and sunny, and everything looked like something form a cataloge. Pretty turqoise wather and rocks. A few days later we went on a sightseeing trip to the Croatia (which borders to Montenegro) and the fairytale city Dubrovnic. A fishing wilage we passed through on the buss ride to Dubrovnic. Dubrovnic seen from the road. The whole town is built inside a fortres and have high walls and towers looking out over the sea. 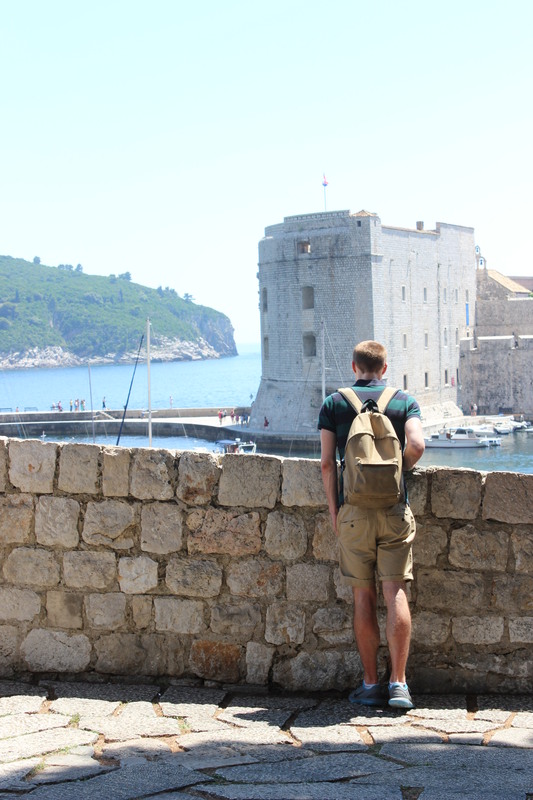 If you ever watched Game of Thrones you might know wat I mean when I say it looked a lot like “Kings landing”. We folowed on a guided tour in the city and got to see lots of pretty bulidings and learn a lot of the citys history. An old church. The chatedral with the city saint on top. And a knight watching outside. Lovely marble work on this column. We were guided through a museum with a beautiful inside garden, and lovely artwork both on the colums and on the walls. Then we got some time to explore the city on our own. There was lots of narrow alleys. windling up and down between the houses. We got to se some tourist entertaing. It was such a nice (but a bit to hot) day, and we enjoyed walking around admiring the veiw and eating ice-cream. Then we once more got on the bus for the 2 hours buss ride back to the hotell. The beautiful port of Dubrovnic. The pictures from the last days of our trip will be shown in my next post.